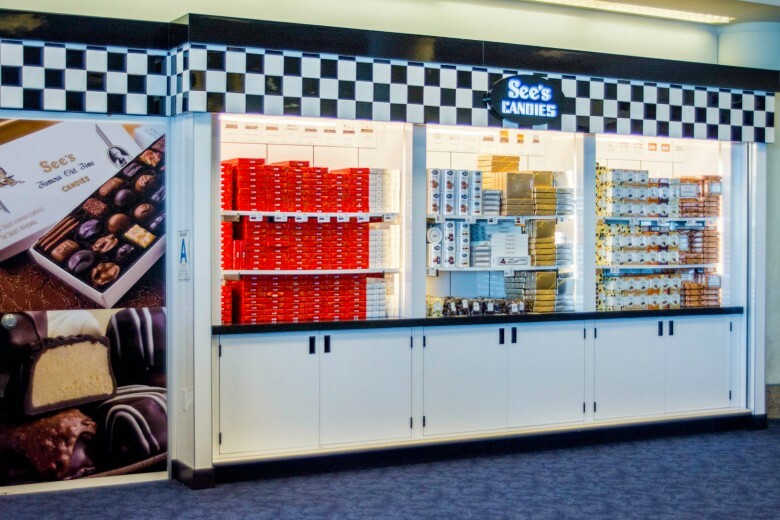 See’s Candies retail display at LAX airport. A great example of an effective point of purchase display. 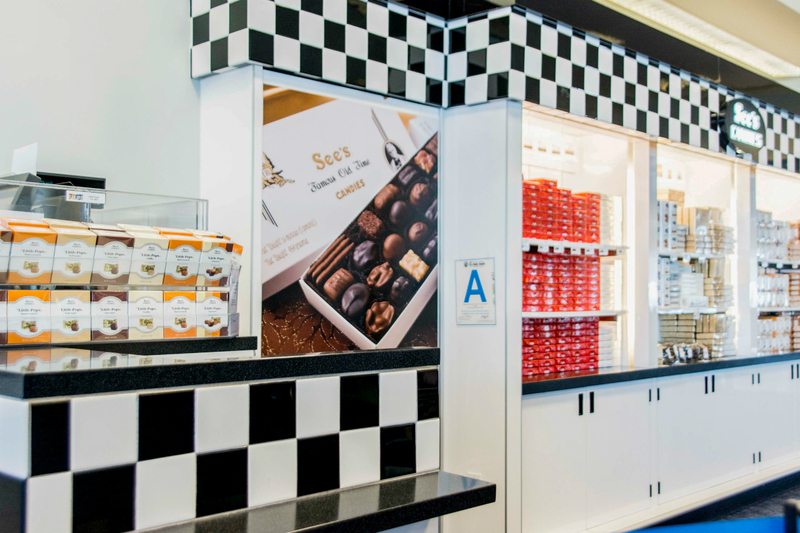 See our Sees Candies portfolio page for more images. 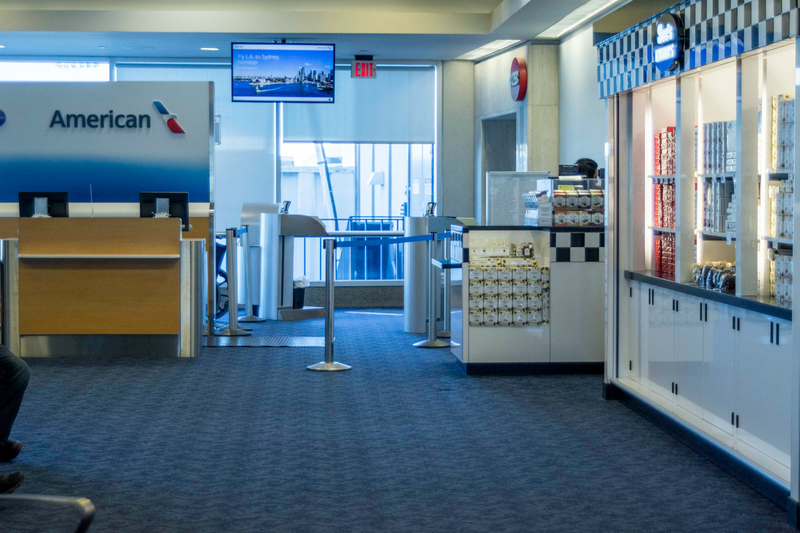 Looking for point of purchase displays?